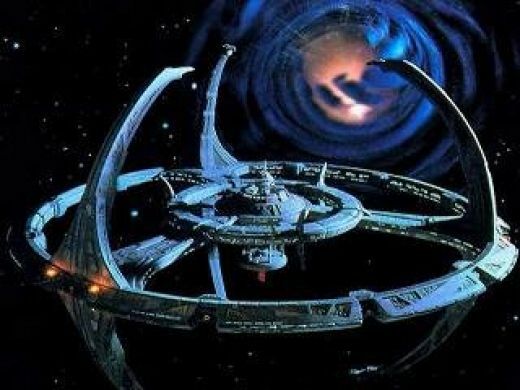 The third week of the Star Trek Pilot Episodes Series brings us to “Star Trek: Deep Space Nine.” “Star Trek: Deep Space Nine,” is one of my all time favorite Sci. Fi. shows. The themes it deals with (Religion, War, Occupation and Politics). 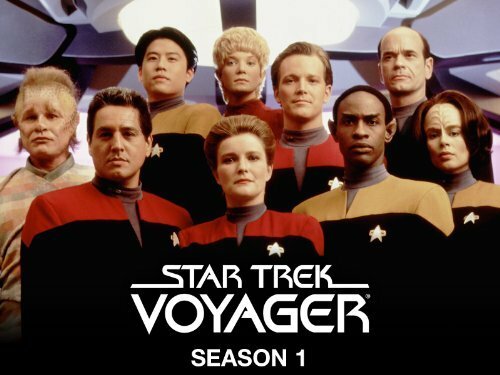 The Episodes follow Commander Sisko (the first Captain who doesn’t begin as a Captain) and his arrival at Deep Space Nine after losing his wife to Captain Picard as Locutus in the Battle of Wolf 359, the series was a spinoff of The Next Generation and you can see it with Picard leaving O’Brien behind to be Sisko’s Chief Engineer. We then jump three years forward to Sisko arriving on a broken DS9 and Post-Occupation Bajor, both places are wounded and broken a reflection of Sisko who is feeling the death of his wife that he has refused to face. It is a powerful opening and when Sisko arrives he meets all the players (the Ensemble cast, Dukat and the Bajoran Prophets). 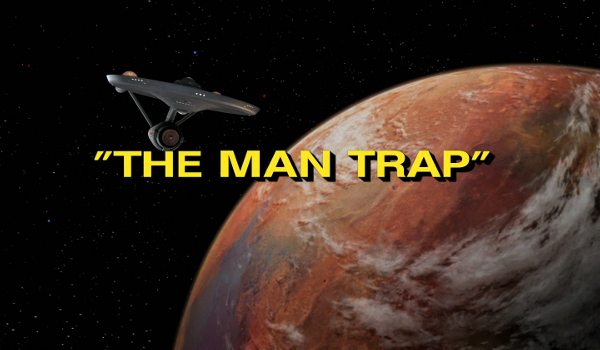 The Tone: Unlike “Encounter at Farpoint,” “Emissary” starts with so much at stake. Bajor is at stake and Sisko and many others are in a new place they have no idea how to deal with, they could easily mess things up with Bajor or have another war with Cardassia. 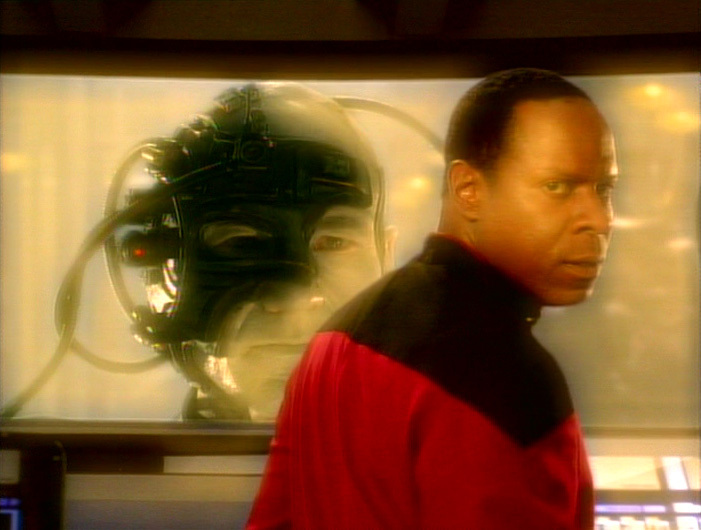 You can see this in the broken spaceship and broken Sisko who is still living the Battle of Wolf 359, it isn’t bright and happy…it captures the true realities of what people face, which is important to see so front and center on a show. The Characters – DS9 is my favorite crew. There is Odo the only of his kind at this point (an alien shape-shifter and security officer), the everyman O’Brien (who has a history of bad blood with Cardassia having fought in the war), Quark (the first 3 Dimensional Ferengi, a practical bar owner), Garak (a former Cardassian spy), Jazdia Dax (the next Dax (Kurzon being Sisko’s former mentor), Bashir (the idealistic Doctor) and Major Kira (the former Bajoran Resistance Fighter) and of course Dukat (the former Prefect of Bajor, the man responsible for the occupation). 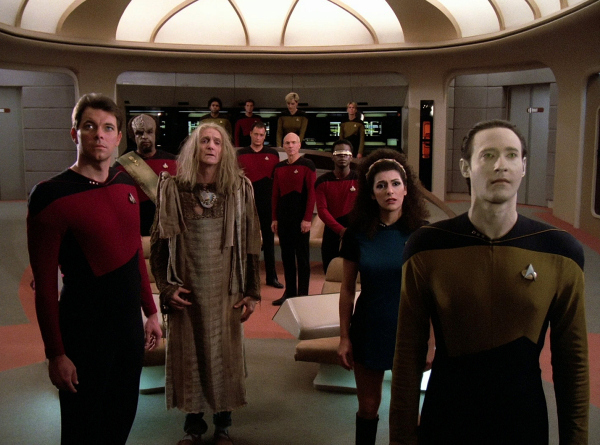 The themes: Occupation (a recovering government who is looked down upon by the Federation – Bashir’s “I chose the wilderness,” implying Bajor is the wilderness. Religion (the Bajoran orbs and Sisko being chosen as the one to speak for them (The Prophets are Bajor’s Gods and also Wormhole aliens), Moving on (Sisko facing the death of his wife Jennifer and choosing to live and help heal Bajor and the Station while dealing with his own healing). 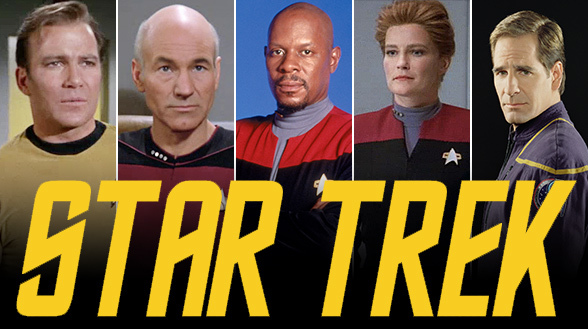 The Ensemble cast – Not everyone who is a main cast member is a member of the crew, which you didn’t see in Trek’s up to this point with the exception of Guinan. 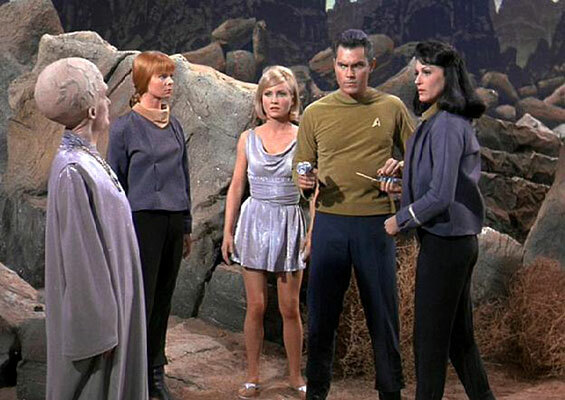 This was perfect because it showed that the Federation was not perfect by giving those other perspectives. Not to mention that we have children on the station in the role as children (Sisko and Nog as examples). The set up was perfect and they had a great payoff. The Federation is important but not the only players…there are Bajoran, Cardassian, Civilian and Federation players right from the beginning. Gul Dukat – The best villain in Trek. A complex baddie who is a charming meglomaniac. 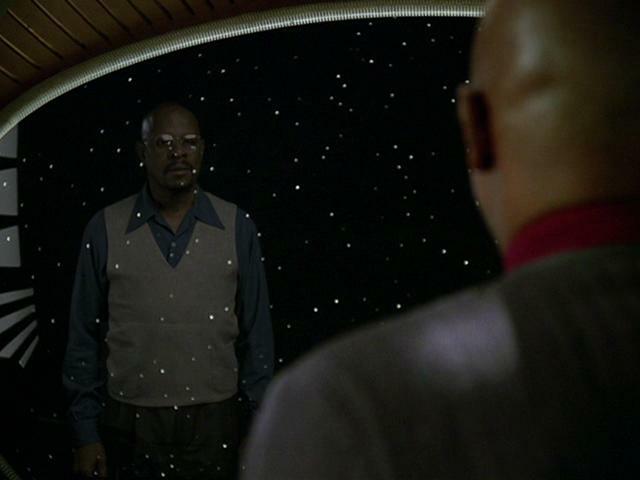 Benjamin Sikso – Avery Brooks does a masterful job playing Commander Sisko, from dealing with the post Wolf 359 Trauma of losing his wife, his conflict with Picard and the station’s crew members and with the Prophets (teaching them about corporeal linear life forms and them teaching him how to move forward). There is a reason Captain Sikso (as he would be later) is my favorite of the Captains. The ending – Sets the stage for later conflicts. Bajor is still going through political and religious strife as well as with the Cardassians and Federation. Sikso also has accepted his place and is able to resolve his differences with Picard on a professional level since he has finally left the ship where his wife died and is ready to command Deep Space Nine. Okay – Some of the acting. You can tell some of them are new…none of them are as bad as Troi or Wesley though so I won’t put that in the cons. None of the actors are ever painful to watch and there are some good performances, but a lot of okay ones too. Music – Isn’t memorable. Not bad, but not great. This would be standard Trek since TNG they got rid of their composer, at this point Star Trek only had stock musical varieties to try out that aren’t bad but aren’t good. “Emissary,” is the best of the pilots. It establishes what the series will cover in full in regards to themes and establishes Dukat as the primary protagonist and the Prophets as one of the main people to shape the series (and even Odo as being the Outsider who was discovered around this area). All of these things that the Pilot establishes have payoff later, even receiving more good from TNG (O’Brien and later Worf), which only adds to the political and philosophical complexity of the show. I highly recommend this show for any lover of political sci. fi…it is here that you see many of the seeds and themes that Ronald Moore would use later in the new Battlestar Galactica. This is a show I’ve enjoyed watching since High School and don’t see ever getting old. “Deep Space Nine,” is the best of the Star Treks. I would rate “Emissary” as 9 / 10. There are enough great themes, acting and writing to elevate over a simple good episode.